I was lucky enough to visit Mark Kossler when he was the manager of Turner Enterprises’ Vermejo Park Ranch in New Mexico. The ranch was one of the most beautiful places I have ever seen. There was the natural beauty, and the beauty of how the ranch was managed, and the beauty of the mountain bison that live there. I also had the rare privilege of interviewing Mark about his work with bison. Mark is a great observer and his curiosity drives him to try things, and to run small experiments so that he can decide if one thing works better than another. One of the things Mark talked about during our visit was what happened when he tried Management-Intensive Grazing on irrigated pasture with bison. 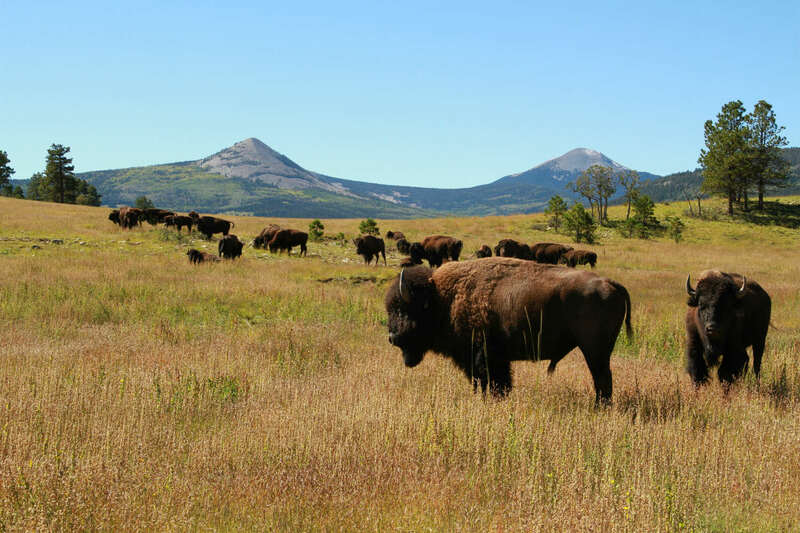 In this video he talks about the differences he found between how cattle and bison behave in this kind of system, how the shape of the pasture affected whether or not the bison stayed in them, and how many young bull bison he could run per acre. Using his lessons learned, you too can do this with bison, and hopefully achieve the same kinds of gains he did, at 2.5 pounds per day. Don’t have bison? It’s worth watching the video just to see how someone pays attention to what’s going on in his grazing system and with his animals. Stop the Presses! MIG More Profitable Than Conventional Dairy Farming!